With the vision of the smart factory of the future, the process and manufacturing industries are currently undergoing a fundamental new orientation on the basis of the cyber-physical systems and internet of things and services paradigms. All parts along the production chain are nowadays equipped with embedded computing, communication and networking capabilities and are expected to interact in an optimal way towards the goal of an energy and resource efficient, save and reliable production process. Through decentralized optimal decision-making and an appropriate communication among the networked individual parts, the whole production process of the future is expected to operate optimally. After a short introduction to the goals and principles of Industry 4.0, its challenges and opportunities for the field of manufacturing and process control are discussed. We will in particular investigate the potential impact of the field of optimization-based control for the fourth industrial revolution and will present two promising approaches, namely economic model predictive control and distributed, cooperative optimization and control. Economic model predictive control (MPC) is a control technique which is based on the repeated online solution of an optimal control problem. Contrary to classical MPC, the employed cost function can be some general performance measure, possibly connected to the economics of the considered process. This allows to also consider control objectives different from the classical ones of stabilization or tracking, which makes economic MPC well suited as a tool to achieve the goals of Industry 4.0. In this talk, we examine conditions to classify the optimal operational regime for a system, and propose economic MPC schemes which allow for closed-loop average performance guarantees and satisfaction of (standard pointwise-in-time as well as averaged) constraints. Frank Allgöwer is director of the Institute for Systems Theory and Automatic Control and professor in Mechanical Engineering at the University of Stuttgart in Germany. His main interests in research and teaching are in the area of systems and control with a current emphasis on the development of new methods for optimization-based control, networks of systems and systems biology. 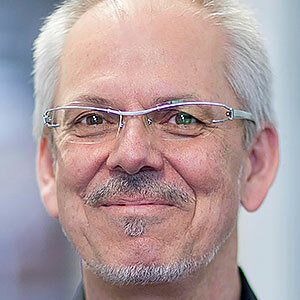 Allgöwer received several recognitions for his work including the IFAC Outstanding Service Award, the IEEE CSS Distinguished Member Award, the State Teaching Award of the German state of Baden-Württemberg, and the Leibniz Prize of the Deutsche Forschungsgemeinschaft. Allgöwer served as IEEE CSS vice-president for technical activities over the last years and is president of the International Federation of Automatic Control (IFAC) for the years 2017-2020. He was editor for the journal Automatica from 2001 to 2015 and is editor for the Springer Lecture Notes in Control and Information Science book series and has published over 500 scientific articles. Since 2012 Allgöwer serves a vice-president of the German Research Foundation (DFG).